a child is placed at the center of history. 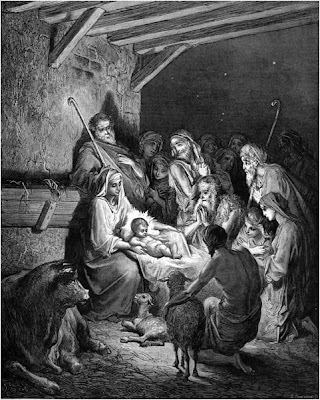 A child, born of humans: a son, given by God. That is the mystery of the world’s redemption. Everything past and everything future is encompassed here. condescends to us in the form of a child, his son. my very life now depends entirely on all these things. A child has our life in his hands.